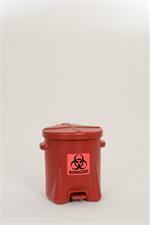 Polyethylene - Red w/Foot Lever 14 Gal. 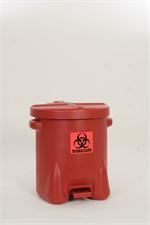 Polyethylene - Red w/Foot Lever 6 Gal. Polyethylene - White 1 Gal. Polyethylene - White 1/2 Gal. 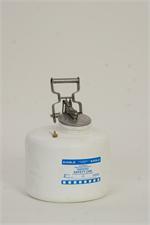 Polyethylene - White 3 Gal. Polyethylene - White 5 Gal. Polyethylene - Yellow 1 Gal. Polyethylene - Yellow 1/2 Gal. 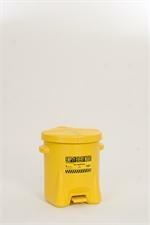 Polyethylene - Yellow 3 Gal. Polyethylene - Yellow 5 Gal. Polyethylene - Yellow w/Foot Lever 10 Gal. 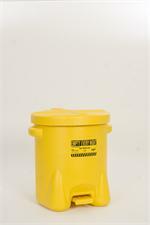 Polyethylene - Yellow w/Foot Lever 14 Gal. 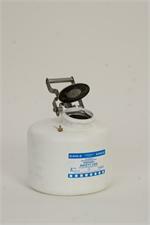 Polyethylene - Yellow w/Foot Lever 6 Gal. 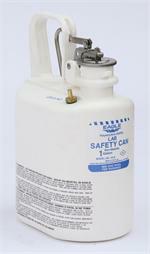 Red Galvanized Steel Type II Style Safety Can w/5/8" Flexible Hose 5 Gal. 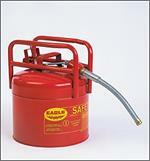 Red Galvanized Steel Type II Style Safety Can w/7/8" Flexible Hose 5 Gal.